Konami’s first attempt to make Metal Gear games without Hideo Kojima, Metal Gear Survive, a multiplayer version of Metal Gear V: The Phantom Pain‘s forward operating base missions, will be out this coming February. The company has announced the game’s open beta dates today. Metal Gear Survive will hold an open beta on PS4 and Xbox One from January 18th-21st. No PC beta for the game has been announced just yet. The beta will allow players to enter a co-op mode that sees them “build, defend and fight alongside friends online.” Playing the beta earns players bonus items in the full game upon release, including a FOX HOUND name plate, a Metal Gear Rex Head accessory, and a bandanna accessory. Because nothing says Metal Gear like a bandanna. The open beta announcement comes alongside a new gameplay video, which explains the basics of the game’s survival mechanics. The wave-based, survival-focused Metal Gear spinoff was announced last year to some confusion. After playing the game during E3 this year, we really had to wonder who greenlit the project and why, as it seems to be a little too lost. 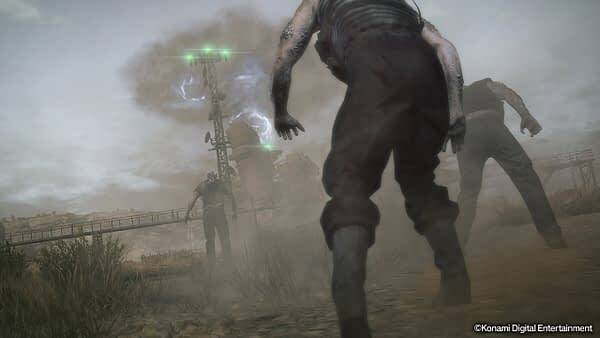 Metal Gear Survive is set to be released on February 20th, 2018 for PS4, Xbox One, and PC. The brand new gameplay video is below.